Like Sandy Brown, Al Fairweather and others, Dizzy went to Edinburgh’s Royal High School. It was there that he was given the nickname 'Dizzy' because he could wiggle his ears - just like a guy called Dizzy in gang that featured in a B movie series of the time. In 1951, Dizzy and a group of friends were going regularly to hear jazz being played at the West End Café in Shandwick Place. “It had an ornate entrance and you would go down a long corridor where you could get coffee, to a huge room at the back. The room was about twenty feet high with a stage at the back. There was no alcohol served, just coffee with waitress service at the tables. I can remember hearing the Graeme Bell band and many others there’. Jim Gavin said to Dizzy, ‘You played the violin at school, so you could play bass!’ Dizzy thought about it and decided he would give it a try. He went round to Simpson’s Music Shop, just round the corner from the Café and bought himself a bass for £20. It is the same base Dizzy uses in 2008, but now worth a lot more than the original £20. He taught himself to play and went along to practice with the band on a Saturday, Stan Greig gave him some help with thirds, etc. and in time, the practice turned into Dizzy becoming a regular member of the band. L-R: Norrie Anderson, Farrie Forsythe, Bob Craig, Dizzy Jackson, Al Fairweather, Drew Landells, Sandy Brown. ‘In 1952, we played a skiffle feature – Sandy was interested in skiffle and he had a good voice for that’. 1952 also saw Dizzy playing with the band for the famous concert at the Usher Hall when the band began to achieve wider recognition. Rehearsals took place on a Saturday afternoon after the band had been along to Paddy’s Bar in Rose Street, a street full of pubs parallel to Prince’s Street in Edinburgh. The pub is still there in 2008 although under a different name – going up Hanover Street and turning left, it is the second pub on the right. Jazzers would take over the bar on a Friday and Saturday night, and on a Saturday lunchtime for a few drinks before rehearsal. ‘There was a huge extractor fan for the cigarette smoke and a huge black cloud of smoke outside. We had our own table in a corner to the right as you went in the door. It had a glass top, and people would slip tickets under the glass from the various dances they played at – the Oddfellows Hall in Forest Road was very popular - where Sean Connery was one of the bouncers, and we played at Edinburgh Art College once a month’. 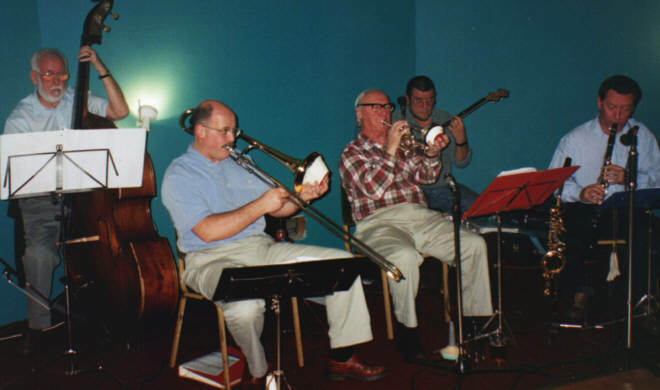 ‘Sandy was always there, Norrie Anderson, Bob Craig, and Sandy Currie, who ran the jazz club and organised concerts; Dru Bruce, who was a gifted storyteller, he always had us in stitches. There was always a great buzz whenever Dave Paxton came home from the Far East, those occasions always promised great times at Paddy’s bar and hot music’. ‘We went down for two weeks with the Festival Hall as the first concert. Stu Crockett as the band manager had booked us in to play at various clubs, and we also appeared on the BBC’s ‘In Town Tonight’ programme. We played ‘Dr Jazz’. I had a tape of the programme and you could hear Sandy introduce the band and then a click as he took out his false teeth and put them in his pocket to play. It all went down very well, Sandy and Al were now colossal and Bob Craig was at his prime’. ‘Wood Green was a marvellous gig. Trombonist Archie Sinclair had come down from Scotland. Archie and I went home by tube with Ken Colyer, more than a little drunk. Ken tried to demonstrate how he could role a cigarette single-handed – the floor ended up covered in tobacco and cigarette papers. Archie was sick. We got to West Kensington where we were staying and when we got off the tube, Archie had to go to the toilet. He went into a cubicle, locked the door and fell asleep. Al who had caught a later train appeared from somewhere and had to climb over the door to get him out’. ‘Al stayed in London and eventually joined Cy Laurie’s band, but the rest of us had to go back. Sandy still had a year to do at college. 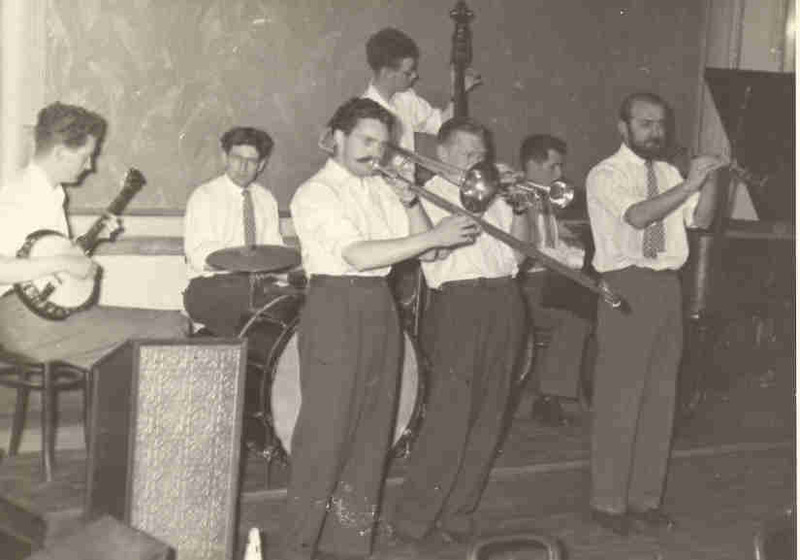 Alex Welsh was brought into the band to replace Al – Alex was a struggling trumpeter in those days when he was just learning, but he went on to great things afterwards’. Dizzy stayed with the band until 1954. In the summer of that year, Sandy was married and a month or two later he and Flo went to London where Sandy had been offered a job with the BBC. He had applied before, unsuccessfully, but this time the job was offered. Sandy moved and the band changed. In the autumn of 1954 Dizzy was called up to do his National Service. He was based with the Army in Folkestone, Kent, but would travel up to London sometimes when he had leave and would stay with Sandy and Flo or at a soldiers’ club. He would always go to hear Sandy’s band and was able to sit in once at the Lyttelton Club (100 Oxford Street). ‘I had awfully sore fingers as I hadn’t been playing for a while’. Dizzy returned to Edinburgh when he finished his National Service. 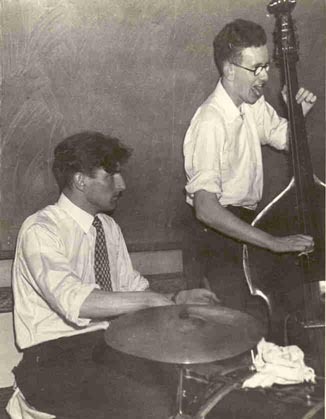 Sandy and Al wrote to him asking him to join them in London, but Dizzy had to finish his degree at university and he didn’t feel like going down to London. Instead, he joined Charlie McNair’s band and played with them and various other bands around town for a while. By 1957 Dizzy was teaching, but he was able to join Al for a tour over the Easter holiday. Sandy was not with the band at that time. 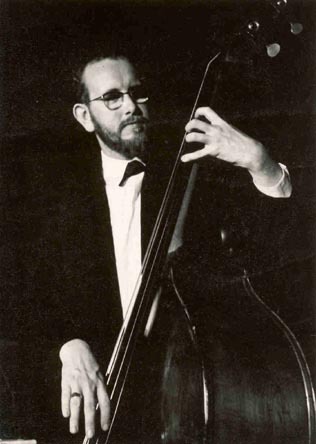 Dizzy remained living and teaching in Edinburgh and went on playing with local bands. He became a headteacher at a Primary school in Edinburgh until he retired in 1997. He continues to play with Dave Keir’s Hot Five.